Did you use a polynomial equation today? When was the last time you calculated the volume of a sphere? While human achievements in mathematics continue to reach new levels of complexity, many of us who aren’t mathematicians at heart (or engineers by trade) may struggle to remember the last time we used calculus. 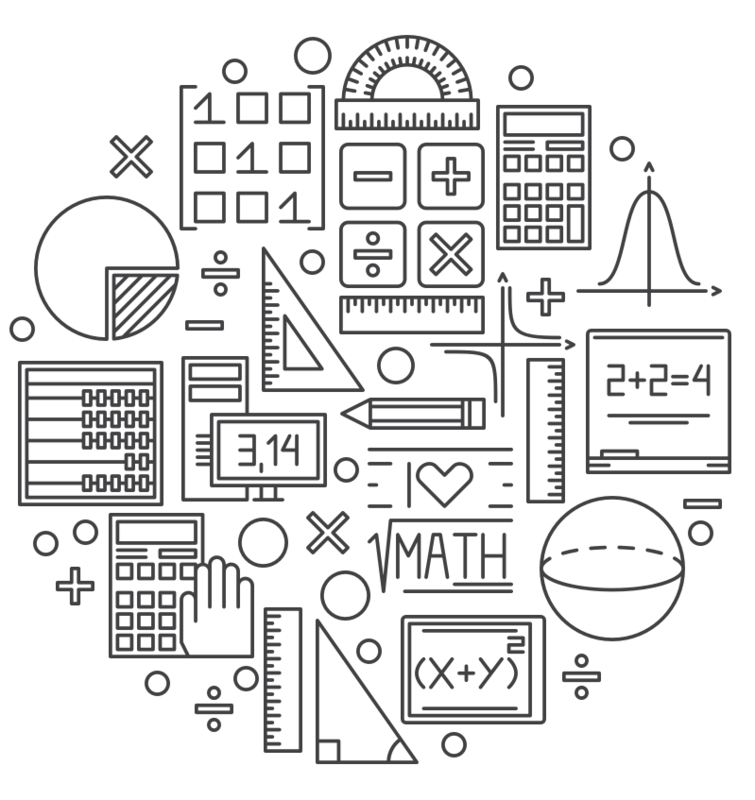 It’s a fact not lost on American educators, who amid rising math failure rates are debating how math can better meet the real-life needs of students. Should we change the way math is taught in schools, or eliminate some courses entirely? Andrew Hacker, Queens College political science professor and author of “The Math Myth and other STEM Delusions,“ thinks that advanced algebra and other higher-level math should be cut from curricula in favor of courses with more routine usefulness, like statistics. Instead, Hacker is pushing for more courses like the one he teaches at Queens College: Numeracy 101. There, his students of “citizen statistics” learn to analyze public information like the federal budget, corporate reports, and police homicide rates. Such courses, Hacker argues, are an antidote to the numerical illiteracy of adults who have completed high-level math like algebra but are unable to calculate the price of, say, a carpet by area (82 percent failed to do this in a recent survey). Hacker’s argument that most students don’t need higher-level math has been met with pushback from other math educators who say what’s needed is to help students develop a better relationship with math — earlier — rather than teaching them less math altogether. Maria Droujkova is a founder of Natural Math, and has taught basic calculus concepts to 5-year-olds. (Hint: if you ask kids to build the Millennium Falcon out of Legos, doors open to all kinds of questions like “How many Legos did it take?” or “How do you build a circle out of squares?”) For Droujkova, high-level math is important, and what it could use in American classrooms is an injection of childlike wonder. Pamela Weber Harris, a lecturer at the University of Texas at Austin and author of “Building Powerful Numeracy,”has a similar perspective. Harris says that American education is suffering from an epidemic of “fake math” — an emphasis on the rote memorization of formulas and steps, rather than an understanding, instilled early on, of how math can influence the ways in which we see the world. Harris argues that “chunking” like this quickly leads children to higher math by showing that a complicated figure can be built from easier-to-digest composite figures. Students who learn these concepts early on, she says, may get more out of courses like algebra and calculus when they reach them. “They’re finding the beauty in [math] because we’ve allowed them to construct those relationships,” Harris says. Andrew Hacker, for the record, remains skeptical. Maria Droujkova is the founder of Natural Math. She’s based in Raleigh, North Carolina. Andrew Hacker is author of The Math Myth and Other STEM Delusions. He’s based in New York, New York. Pamela Weber Harris is a lecturer at the University of Texas at Austin and the author of Building Powerful Numeracy. She’s based in Austin, Texas. IRA FLATOW: This is “Science Friday.” I’m Ira Flatow. Did you use a polynomial equation today? When was the last time you calculated the area of a rotating trapezoid? It’s a common complaint you hear from students. When are we ever going to use this type of math out in the real world? But in recent years, with failure rates in math on the rise, even educators are starting to ask these questions. Should we change the way math is taught or even get rid of some of it altogether? Pre-calculus would get my vote. Andrew, let me start off with you. In what way is our math education system broken? ANDREW HACKER: We hear on all sides that we’re not teaching enough mathematics. The Chinese are running rings around us. I’m suggesting we’re teaching too much mathematics to too many people. We’re inflicting too much of the subject on people who don’t need it. And as a result, we don’t use other alternatives, other options. IRA FLATOW: So what math should we give up? ANDREW HACKER: I would say everybody doesn’t have to know calculus. If you’re going to become an aeronautical engineer, fine. But most of us aren’t. It’s a bit like saying everybody should learn Arabic because they may need it someday. IRA FLATOW: And what would you put in its place? ANDREW HACKER: What I would prefer is– I’m teaching a class at my own college. I call it Numeracy 101. It’s really citizen statistics. Statistics for intelligent people like you and me, like the federal budget, corporate reports, police homicide rates. Let’s figure those numbers out. IRA FLATOW: Stuff you read in the newspaper and you could understand it. Maria Droujkova, I imagine you’d disagree with Andrew, considering you teach calculus to five-year-olds. MARIA DROUJKOVA: Hello, everyone. I think we can build on this message. So I’m not going to argue with it. I’m going to expand it. I’m going to ask even more, what mathematics can each child enjoy, can each grown-up learn? And in the last decades, we discovered, or we rediscovered from the past, how beautiful and joyful and useful different kinds of advanced mathematics can be to different kinds of diverse people, even young children like I work with, little ones. So my proposal is to take this message, make it stronger, but also maybe kinder. Make mathematics available, more available. Redesign it so it’s more accessible to more kinds of people, young children, adults who worry about it, adults who maybe had bad experience. And then instead of forcing people, we will do inviting people to all this beautiful, useful, and joyful math. IRA FLATOW: Pam Harris, where do you check in on it? PAMELA WEBER HARRIS: So I think it’s interesting that– I think, like Maria, I’m going to add to the argument that what we have in the United States right now is a lot of people– you said you wanted to do away with pre-calculus, Ira– a lot of people agreeing with you, that maybe some of this higher math didn’t seem very relevant for them. And it’s interesting that the more that I work with parents and teachers and students, that I think I see sort of three ways of looking at math. And because I see these three groups of people kind of looking at what we’re talking about differently, we are sometimes talking past each other and not really communicating very well. There’s a group of folks who really understand what I call real math, despite the way that we tend to teach it in the United States, as a memory-based, mimic the teacher kind of way, that even though teachers taught it that way, they actually constructed relationships in their own head and they use those to solve problems. But there’s another group of teachers, actually like myself when I was growing up, that I heard the message clearly that math was– the definition of math was that it was a bunch of things to memorize, and that I was supposed to mimic the teacher, do all the steps in the right order, and circle the answer. Because we have these different perspectives, I think there’s a lot of folks hearing our conversation right now, thinking the way we teach math is fine. I learned it. It’s great. But I’m here to tell you, I was in that second group. That what I learned– I call fake math– wasn’t math at all, that I was actually very successful with fake math. I got really good grades. I went on, I become a math teacher. But in reality, I had very few mathematical relationships I could draw on to mathematize my world, to quote Cathy Fosnot, who’s a lovely person, who taught me a lot about what math really is, that mathematics is about relationships and connections. PAMELA WEBER HARRIS: –rote memorization. IRA FLATOW: Andrew, my view on some of this is we don’t teach art for you to be an artist, we don’t teach music for you to be a musician, but we teach you how to appreciate what it does for us and the beauty and where its place is in the world. Maybe we could teach math more like– not just knowing how to do the rote stuff, but where it fits in. ANDREW HACKER: Well, mathematics is a sublime human accomplishment, some would say a discovery, but it is. The question is, how much of this we want to inflict on everybody. IRA FLATOW: But aren’t there people who are good at it? ANDREW HACKER: Of course, there are. But it’s one of the few subjects where we make everybody do four full years of it. And there are– let me give you an example of this. Most American adults have studied algebra. And yet when the government did a survey– National Assessment of Educational Progress– they discovered, of adults, 82% could not compute the price of a carpet, even when given the dimensions. They’d done all that algebra, but they’re numerically illiterate. IRA FLATOW: More practical math, for every day. ANDREW HACKER: Practical, and as civilized people. Could I give you one example on this? In my class, I give the students a 95-page document from the National Center of Health Statistics, which has lots of figures on American deaths. And I say, OK, we’re going to talk about Black Lives Matter. What is the ratio of black people killed by police as opposed to white people? Well, the students, long time to figure it out, but they finally came out with a number. Would you care to know? We’re the only ones who’ve discovered it. It’s a public statistic. For every 100 people killed by police, white people, 270 black people are killed. OK? IRA FLATOW: Yeah, and this is an exercise you give them in actually looking through stuff that’s meaningful to them. MARIA DROUJKOVA: I’d like to add to this, that I think this example is interesting and relevant to most people who probably hear it. And I think it should be over [INAUDIBLE]. What I hear is a lot of conversation about forcing people to do math, inflicting mathematics on them. I want to really take an issue of that. Why should we inflict any mathematics or force any mathematics on people? We should offer, we should make it available, and some people probably would like different kinds of mathematics. There is very beautiful mathematics in Fibonacci sequence that a lot of people know when they see the curves, a spiral. A lot of artistically minded people would want that. In our upcoming book, Avoid Hard Work, ironically, we talk a lot about young problem-solving, where we do a lot of storytelling mathematics, where ideas from, well, advanced mathematics are made very, very accessible to young children through stories and prepared play. So some people want that and crave that, and would spend a lot of time, very willingly, doing that. IRA FLATOW: Well, can you separate the two populations out of people who can– the kids who can understand and want more of that from people who are never going to understand that stuff? MARIA DROUJKOVA: I think separating population right now, where we are, has very unfortunate connotations. I am not touching that one with a 10-foot pole and I do not recommend people even going there. What I do recommend is offering a lot of diverse, beautiful, advanced, concrete, abstract, artistic, poetic mathematics, and we making it available and accessible to everybody, and let people be exposed and invited and offered that. IRA FLATOW: Pam, would you agree with that? Pam? MARIA DROUJKOVA: That’s my take on it. PAMELA WEBER HARRIS: I think that’s a great thing for us to shoot for in the future. I’m a little bit more pragmatic at the moment, that I’m really cautious about limiting the opportunities for any student and what they want to do with their life. ANDREW HACKER: Pam, could I ask you a question on that score? PAMELA WEBER HARRIS: Of course. PAMELA WEBER HARRIS: But Andrew, you just caught me talking about people’s future occupations as if that’s the only reason to take mathematics. And I want to back off of that and suggest that this beautiful, sublime activity can be used to influence how we see the world. But I want to go back to my statement that if people, right now, listening, only hear math is that set of memorized things they learned in school, that’s not going to make a lot of sense to them. I think we need to give people examples of how we can teach your kind of numeracy that you’re promoting. My book, Building Powerful Numeracy, absolutely promotes building powerful numeracy. I want to do it much earlier, because that’s what real math is. Real math. IRA FLATOW: Don’t you have to have teachers who are able to do that? To bring the beauty of math out to students who don’t see it. IRA FLATOW: How many teachers, when they’re in teaching school or in college or in classrooms, take the time to do that? Aren’t they too busy teaching for the tests or the requirements and things like that? ANDREW HACKER: And absolutely. Ira, on that, one of the chief culprits is the Common Core. I know we’re supposed to genuflect before it. But it has such a high level of mathematics that’s going to be imposed on everybody in these Common Core tests, that teachers are going to have to teach up at that level. IRA FLATOW: So Pam, how do you do that? How do you bring that beauty of math that’s out there? PAMELA WEBER HARRIS: It’s absolutely possible, but you’ve got to get teachers who grew up– we have a self-perpetuating system. The teachers that, if they grew up thinking that math is this set of memorized things and now– the standards in the Common Core are actually fairly decent. I don’t want to get into the politics of a national curriculum. But the standards themself don’t dictate how we teach, but we can teach real– what I call real math, not fake math, and still meet those standards. I’m not in favor of the high stakes testing, especially the time pressure. I think all three of us agree on that. But we can still meet those standards, but teach them in such a way that kids actually own those relationships. And if we have time, I’d love to give you an example of that. IRA FLATOW: –can be used to teach math. So if I have 6 times 7, a most missed fact. If a kid’s going to miss one, they might miss that. If I’m thinking about six 7s and a student doesn’t know it– I’d love them to know it, but if they don’t– then I might ask them, do you know three 7s? And if a kid knows three 7s is 21, and I need six 7s, then I just need to double 21, which is 42. And so 6 times 7 is 42. But see, now, I want that to lead into higher math. So I want to take that understanding, that we can chunk these areas together, 6 by 7, and think about it as two 3 by 7s. And think about 60 times 7, well, then that would be 420. And if I know 60 7s is 420, then can I think about 59 7s? IRA FLATOW: I get it. I get it. PAMELA WEBER HARRIS: That would be one less 7. Now, hang on, hang on, because let me go to Maria’s calculus. Now that I’m chunking these areas together, now I’m building this big idea that I can find the area of a really complicated figure by looking at the areas of composite figures. And then I can look at infinity to make those really tiny and look at lots of them, and that’s a huge idea in calculus. So I also would like to make that available at a much younger age, so that when students reach these higher math topics, we’re not inflicting anything. They’re finding the beauty in it, because we’ve allowed them to construct those relationships. IRA FLATOW: I’m Ira Flatow. This is Science Friday from PRI, Public Radio International. Talking about math in school with Andrew Hacker, author of The Math Myth, and other STEM Delusions, Maria Droujkova, a mathematician and founder of the company Natural Math, based out of Raleigh, Pamela Weber Harris, lecturer at the University of Texas at Austin and author of Building Powerful Numeracy. Let’s see if we can go to the phones and get some questions here from some of our listeners, because a lot of questions here. Everybody wants to talk. Well, let’s go to Casey in– is it Bettendorf, Iowa? CASEY: That’s right. I’m reminded– when your second panelist started talking about teaching, sort of trying to engage different types of students in different ways, sort of the best teacher, scientific teacher, specifically, that I ever heard of was Richard Feynman, who said you have to basically be chaotic and teach all kinds of different ways and all kinds of different angles. So you’re engaging one– when one student is maybe getting bored, another is being engaged. And when that person gets engaged, maybe the other person gets bored. But you’re doing it from a lot of different angles. ANDREW HACKER: I am going to leave it to those who are in mathematics to work out the ways to make their subject interesting and exciting so students will want to take it. All I ask is that alternatives, other options, be offered instead of putting all of us on the road to calculus. IRA FLATOW: Pamela– well, Maria, before we go, I want to know how you teach calculus to five-year-olds. How does that work? MARIA DROUJKOVA: I’ll use my favorite example and I’ll build on what Pamela said. So let’s imagine a box of LEGO blocks, just regular ones you play with. And a lot of children these days love Star Wars. So when they say let’s imagine Millennium Falcon, the Millennium Falcon, everybody can imagine, that’s a complex shape, but still people have it in their mind. So just build it out of LEGO blocks. Well, why did we do that? It’s very similar to the idea of integration. You build complex shape out of simple shape, and now we can ask mathematical questions. How many blocks did it take? It’s a rough estimate, especially that starship has the round part. How do you build a circle out of squares? And if you use smaller blocks, can you make a better circle? Will it be a better shape? What will change with the area or volume? You can do all of this very simple, very fun questions, because everybody likes to build starships. With very little children, and they enjoy it very much. And it leads them to ideas like integration and limits, because integration is just making complex shapes out of simple shapes. IRA FLATOW: There you have it. Sounds like a lot of fun, too, for the kids. MARIA DROUJKOVA: –about what you said earlier– quickly– about grown-ups. IRA FLATOW: We’ll have to get to it later. IRA FLATOW: I’m sorry. It is such an interesting topic and we’ll come back to it. Andrew Hacker, author of the book, The Math Myth, and Other STEM Delusions, Pamela Weber Harris, author of Building Power Numeracy, Maria Droujkova, mathematician and founder of the company Natural Math. Thank you all for taking time to be with us today. Some parents are skipping the bedtime stories and tucking kids in with equations. An iPad app helps first graders improve how well they do in math.